Just finished watching my favorite show of the year, the Tony's. It didn't disappoint. I sobbed my way through it. I read one reviewer who compared it to last year and the Hamilton triumph. I thought this year's awards were fabulous. My days of seeing shows are over, sadly. But everything I read indicated that it was a great Broadway season. Kevin Spacey did a great job as emcee. Kudos, Kevin. 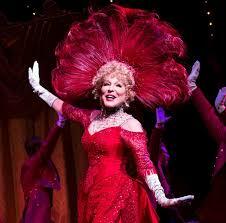 I was so hoping that Bette Midler would win for Hello Dolly! And she did. And she gave a singular acceptance speech which was classic Bette. When she went on too long and the orchestra started playing music to signal that her time was up, she told them to "Shut up." And they did. It was the ultimate Divine Miss M moment ever. Kudos to her for the award and the command performance in accepting the award. When this diva speaks we all should listen. I don't think anyone on the planet during these award shows has ever told the orchestra to shut up and the orchestra stopped. That is power! I so wish I could have seen shows this season. I saw two of my favorite actresses, Laura Linney and Cynthia Nixon on Andy Cohen's talk show and I was so fascinated by the way their play, Little Foxes, was being presented (https://www.nytimes.com/…/little-foxes-review-cynthia-nixon…). Cynthia Nixon won an award and I was thrilled. Laura Linney didn't. This actor is long overdue for an Oscar and a Tony. I would love to see this show twice and watch the actors play the same role. I'd read about the new musical Dear Evan Hansen and I had a feeling it was in contention. There several great performances but Ben Platt's (Dear Evan Hansen) was astonishing. 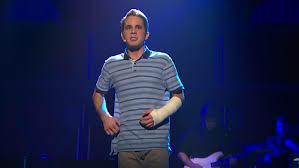 The musical went on to win 6 Tony Awards including Ben Platt for Best Actor in a Musical. Another remarkable moment for me, was when Patti LuPone and Christine Ebersol sang for the nominated musical "War Paint". What an amazing pairing of vocal genius. I read somewhere that Ms. LuPone thinks this is her last show. I hope not. Finally, this award show had a show ending. Kevin Spacey and Patti LuPone sang a Frank Sinatra-esque song and all the winners came out. This year was star power even though Lin-Manuel Miranda made a short appearance to present an award. What a season that I missed. (Would love to have seen Sally Field and Cate Blanchett, both who were up for rewards. A year after "Hamilton" dominated the Tonys, Broadway shines. Didn't see the Tony's but did catch a clip of Bette's acceptance speech. Saw Ben Platt sing on one of those late night talk shows recently, Colbert's I think, and he was pretty damn impressive!